Fine pub. Take your own lunch before 4pm. not my kind of bar bar staff unfriendly and the toilets where a mess makes me wonder what the s stands for? 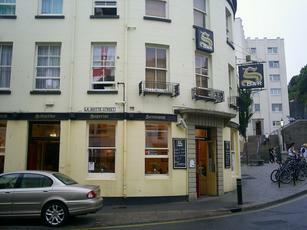 Decent enough bar, made a change from the identical looking locals bars that seem to populate St Helier. Friendly bar staff and probably popular at lunchtimes with people who work in the town with its 'bring your own food' policy.